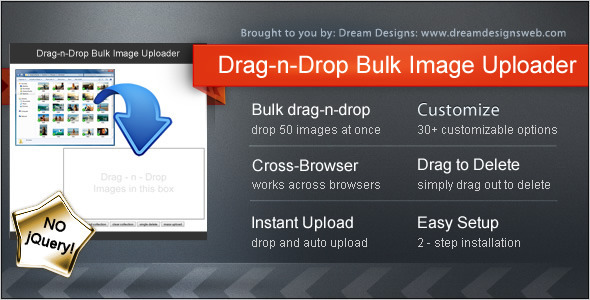 An easy to use bulk image uploader with Drag-n-Drop functionality. Simply select a bunch of images from your computer, drag them and drop them. Get an instant preview with progress bars. Instantly mass upload them to your website directory. – Convert any non self-closing html5 element into a Drag n Drop area.